During WWI troops letters home would first go past the eyes of the censors to make sure no secret information was divulged. But other topics in these letters also found themselves being removed including details of the poor conditions, low moral etc. Some of the letters from the Commonwealth troops added some additional challenges to the censors. Indian troops wrote in Hindi, Urdu or Punjabi and once the troops discovered their letters were being read by the censor they even wrote in code, “Black Pepper” and “White Pepper” referring to the Indian and British troops. Held by the British Library are rafts of documents from this time including a collection of digitized copies, available to view online of the “Reports of the Censor of Indian Mails in France”, these covering from 1814 to 1918 and include the censored sections of Indian letters home, to and from England and to other troops serving in the trenches. Project volunteers are now working through thousands of pages of these monthly reports for any references to the New Forest and the surrounding area. “The arrangements are excellent, & I am absolutely comfortable in every way. 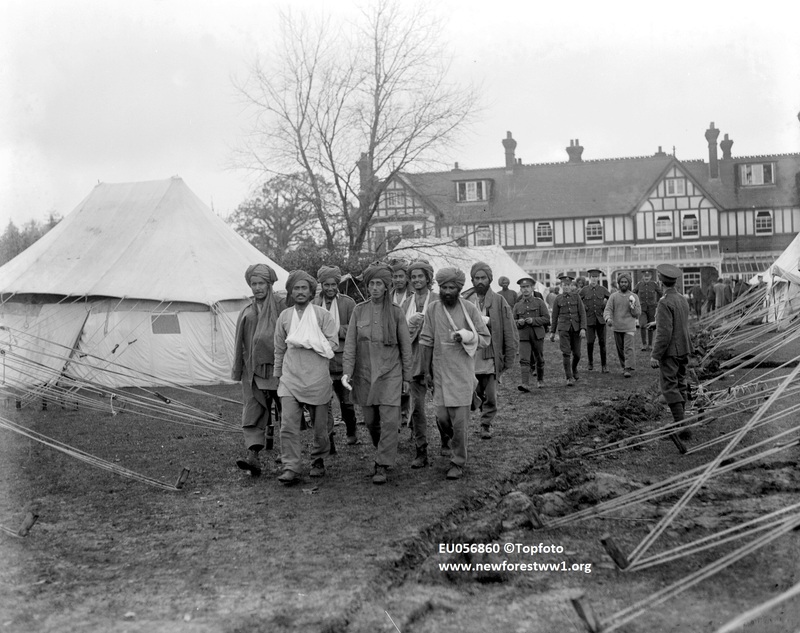 It is possible that this NCO was staying in either the Balmer Lawns or Forest Park Hotels as these were both commandeered and fitted out as medical facilities as part of the Lady Hardinge Hospital for Wounded Indian Soldiers. Later for the New Zealand troop’s one was used for officer the other NCOs with all lower ranks being in the main hospital or other locations. This is just the start of the research into these papers and this page will be updated with any further findings as the research continues.